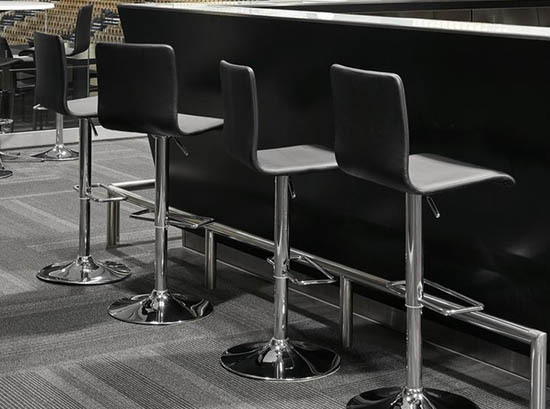 Our range of modern bar stools are from designer furniture retailers which include designs with or without backrests, adjustable height gas lift, foot rests and a choice of finishes. 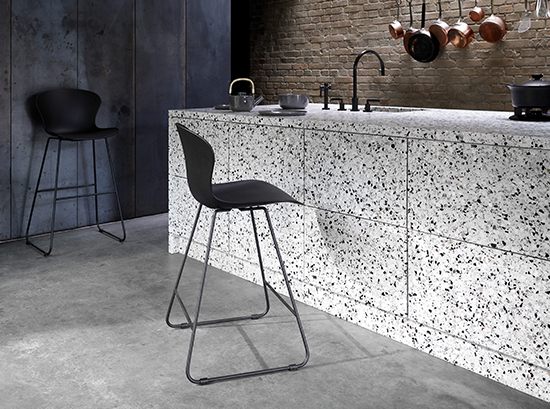 You can customise your bar stool with a choice of plastic, timber, fabric or leather. 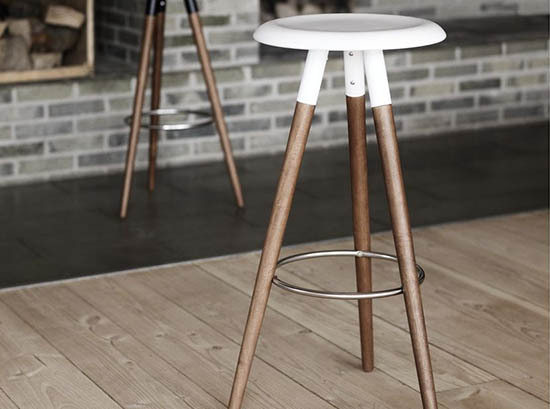 Or choose our Scandinavian Vig stool with walnut legs.Pick your favourite model from our contemporary range of bar stools and customise it according to your preferences. Some models are fitted with a comfortable backrest. This makes sitting even more relaxing and enjoyable. 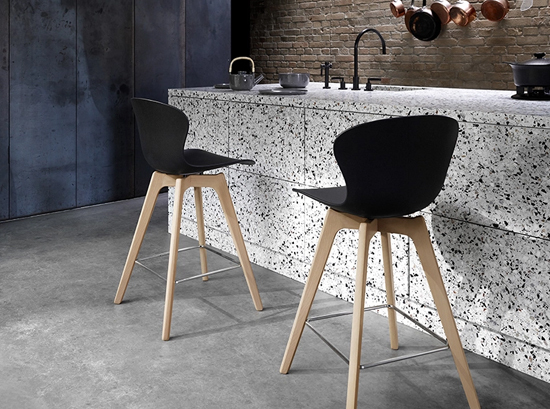 Or you can choose a classic barstool without backrest. Many of these modern stools are also height-adjustable making it possible to fit to your exact preference and body size. For even more comfort, see our bar stools equipped with a footrest. 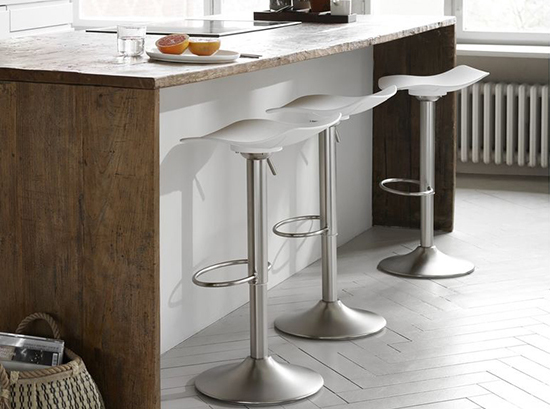 To express your individuality, you can select from several options when designing your bar stool. Not only is there a choice of different models, but colour and type of fabrics and leathers can also in some cases be customised. Choose between an array of colours for a comfortable and stylish fabric or an elegant and modern leather. The bar stools listed here are from associated furniture retailers. Most of these modern bar stools will direct you to the furniture retailer in which you can either purchase from their online store, or visit one of their furniture stores located across Sydney. 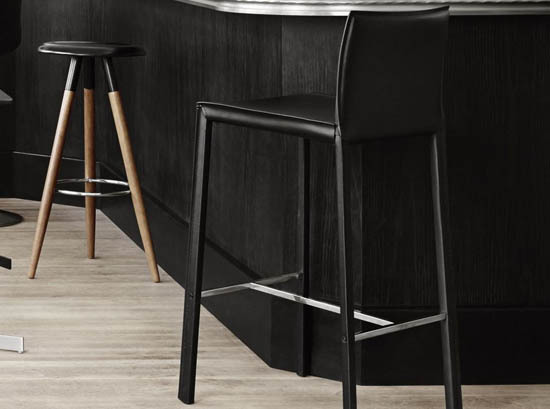 The modern bar stools listed here are delivered all across the Sydney region, depending on the furniture retailer, certain conditions may apply.